When starting a new diet or just cutting calories in general, hunger is the biggest obstacle we face when trying to stick to it. The longer you deprive your body of those extra calories, the more you start to crave those sweet, salty and fatty foods. Filling your stomach up with water or fiber to mimic that satiated full feeling works for awhile, but inevitably those cravings come back. If you are at your breaking point, so hungry that you think you are going to ruin your diet, try eating these foods first to help you crush those cravings. 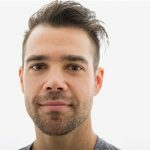 Protein powders aren’t just beneficial for people looking to pack on muscle, protein is a great tool you should be using to fight your cravings. Amino acids found within these proteins are believed to suppress the brain’s “hunger signals” that are sent out to the rest of the body. Most protein powder blends on the market are just whey protein, which is great after workouts. Whey protein digests fast which can help to curb your hunger as well. What we want in addition to the whey is another protein called casein. Both casein and whey are derived from milk products, so milk itself is a great source of casein yet more expensive per serving than most powders. Make sure your protein blend has casein, you want that in your protein powder because it digests slowly over time. This gives your body a more steadily supply of protein over a longer period of time, which suppresses your hunger throughout the day. 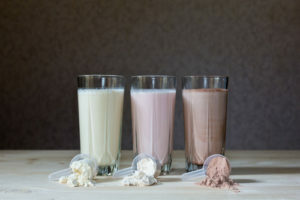 Protein shakes can be taken at any point during the day for a quick snack because it can be easily made and are portable. Cooking oils have been getting a lot of negative attention lately mainly because of how they are overused and that unhealthier versions were used in mass to fry and cook foods in restaurants, especially fast food. Oils made from animal fat, coconut oil or other oils high in saturated fat are very unhealthy and ones we want to stay away from. Oils like canola, or nut oils like sunflower are great substitutes that can not only be used in cooking, but can be added to salads or incorporated in to condiments for uses on sandwiches and other dishes. These nut based oils are really effective in fighting hunger because they are high in omega 9 fatty acids, or oleic acid. Oleic acids not only help to fight hunger but can also help reduce bad cholesterol levels as well. 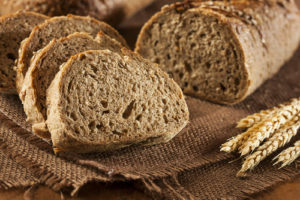 Whole wheat bread is another food that can help you fight hunger because similarly to nut based oils, whole wheat is high in omega 9 fatty acids. In addition to those healthy fats, whole grains are loaded with fiber which helps slow down digestion as well. Whole wheat bread is pretty common now in most grocery stores or supermarkets, but any whole grain will do as well. Rye, oats, and barley are other alternatives to wheat if you prefer those instead. As mentioned earlier, protein is powerful when it comes to fighting hunger because it digests slowly and is packed with amino acids. 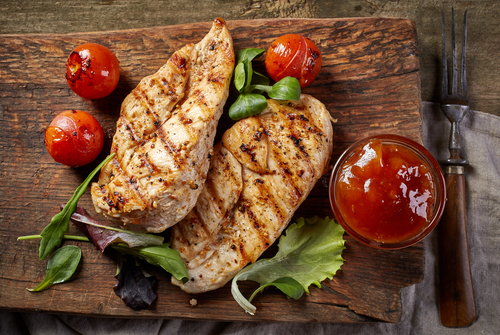 Meats are one of the best sources of protein out there when it comes to how much you’re getting per pound. Poultry like chicken and turkey are excellent choices because they are two of the leanest animal proteins out there, and are low in the unhealthy omega 6 fatty acids. Omega 6 fatty acids are linked to heart disease, cancers and other serious ailments so we want to avoid these fats where possible. Some people have been led to believe that artificial sweeteners are a great alternative to sugar when they are craving something sweet and want to grab a soda or dessert. Some of these artificial ingredients seem like good choices because they have less calories than sugar, but the problem is that these sweeteners are at least 1000 in the case of sucralose, and up to 13,000 times more sweet than sugar. This means that if you regularly eat these artificial sweeteners, your body will get used to this more potent sweetener and you are going to need more to satisfy your cravings as a result. Don’t get in the habit of using these sweeteners.